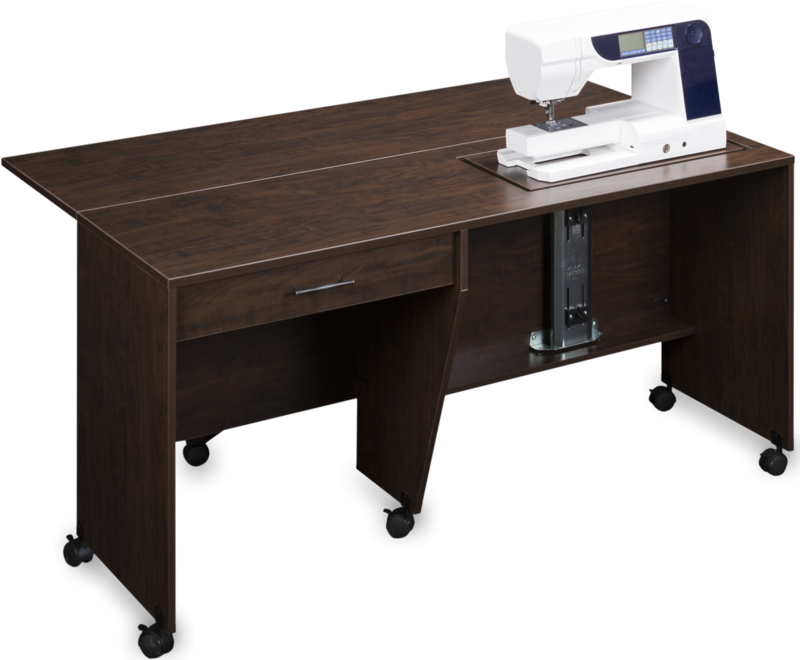 Sylvia 1600 Quilting Cabinet. This Large QuiltMate is for quilting and sewing. Large Machine Opening: 26" x 12 1/2". Closed Dimensions: 59 7/8"W x 20 3/4"D x 29 3/4"H.